No matter what type of seasonal porch you have, you can work to make it an inviting and relaxing gathering spot or at-home getaway with a few simple design tricks. 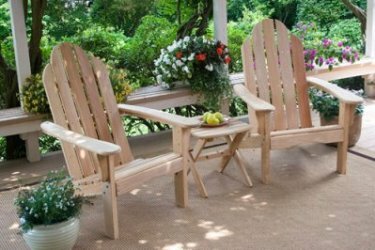 Adirondack-style chairs are always perfect for lounging around on. Consider purchasing a set in a natural finish and then painting them to match a pre-determined color scheme that you’ve chosen. If you’re designing or upgrading on a budget, you may want to limit your bold colors to accessories. They are less expensive than large pieces of furniture and easier to update when you crave a change. Another consideration to think about when furnishing your porch is the size of the space. 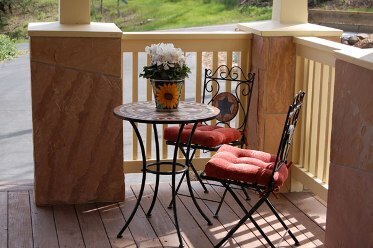 You can make the most of a small porch with slender furniture, such as a small bistro table-and-chair set. It will give you functional seating while not overcrowding the space as a larger furniture set would. 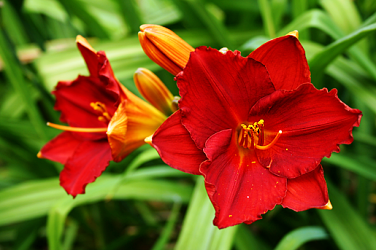 In the feature, produced by expertvillage.com, the host shows how different colored daylillies can work to compliment each other in a flower bed. For example, if you’ve been growing beautiful, bright red lillies, you may lose some of the color’s dramatic effect when placed with other similar flowers. However, if you place it next to say an orange lilly, it’s color becomes that much more distinct. How does this shade of green make you feel? Earlier, we briefly touched on the use of color schemes in interior design. 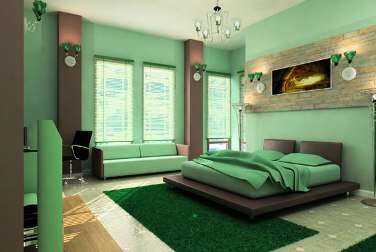 There is actually a science behind which colors work best in certain rooms or design styles and it’s based on psychology. Most decorators know that how we perceive color can be very personal and emotionally charging. They can make us feel a whole range of emotions, from calm to edgy, happy to sad. Gray: classic. Those who gravitate to it are intelligent and disciplined. It’s elegant and works well with most colors. Warm gray paired with other warm colors create a lively and inviting space. Black: elegance, mystery and power (although too much can be depressing). Consider using black as an accent color to add drama to your room. Green: calm and relaxing. Those who like green are said to believe in balance, stability and persistence. Bring energy to a room by painting it a shade of lime green. Yellow: happiness, optimism, inspiration and summer. Pale yellow brings a sunny feel to a space without being overwhelming. Red: among the most psychologically stimulating of colors. It is the color of confidence and creates excitement and energy. It brings to mind passion, energy and courage. We’ve been blogging a lot recently about landscape and garden design, as well as the different types of flowers and greenery that you may want to include in your own outdoor paradise. Well, I’d like to spend a little bit of focus on interior design elements this week. One important aspect of which is color schemes. A good color scheme will bring your home’s interior together. How one goes about choosing a color scheme usually reflects their personality and tastes. If only it could be as easy as just picking your favorite colors and then painting.